More than anything, Joel wants to be a Rithmatist. Chosen by the Master in a mysterious inception ceremony, Rithmatists have the power to infuse life into two-dimensional figures known as Chalklings. Rithmatists are humanity’s only defense against the Wild Chalklings—merciless creatures that leave mangled corpses in their wake. Having nearly overrun the territory of Nebrask, the Wild Chalklings now threaten all of the American Isles. As the son of a lowly chalkmaker at Armedius Academy, Joel can only watch as Rithmatist students study the magical art that he would do anything to practice. Then students start disappearing—kidnapped from their rooms at night, leaving trails of blood. Assigned to help the professor who is investigating the crimes, Joel and his friend Melody find themselves on the trail of an unexpected discovery—one that will change Rithmatics—and their world—forever. Every time I read a book by Brandon Sanderson I am shocked by how much I loved it. Every book I’ve read by Sanderson is filled with memorable characters, shocking twists and surprises, and plenty of action and intrigue. Suffice it to say The Rithmatist has not broken this streak. The Rithmatist starts off from the very first pages with shockingly high levels of action, and keeps this pace going to the last page. 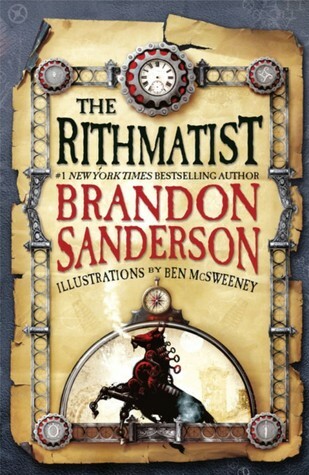 Readers of all ages will be gripped by the suspense, mystery, and action that The Rithmatist provides. That said, while the action will keep readers gripping the edges of their seats, it’s the unique magic and the characters themselves that will keep readers wanting more long after the last page is finished. Joel and Melody provide an amazing combination that readers (if they’re anything like me) will want to know more about, as each of these characters are engaging, charismatic, and likable. All in all, if you can’t tell from my previous praise I loved this book. The Rithmatist is fun, exciting, and perfect for readers of all ages and genders. My recommendation… go buy a copy for yourself right now.